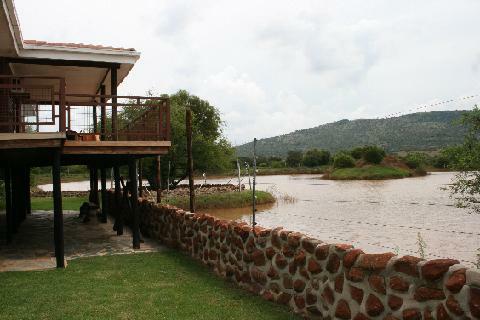 We offer a fully equipped ideal for the large family, self-catering (sleeps 8 or 12), two bathrooms, and 5 bedroom wooden house situated on a large dam frequented by various water bird species and Hippos. The wooden deck area is ideal for a lazy afternoon overlooking the game at the water. 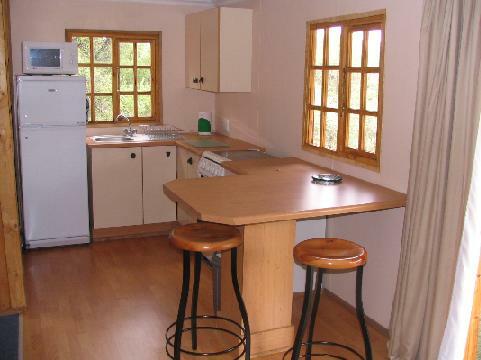 The kitchen is fully equipped with all required cutlery and electrical appliances. 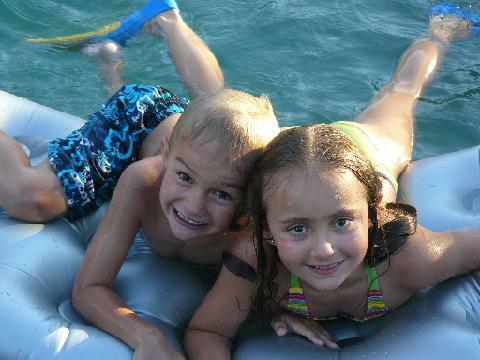 An air conditioner is also ideal for hot summers and cold winters. 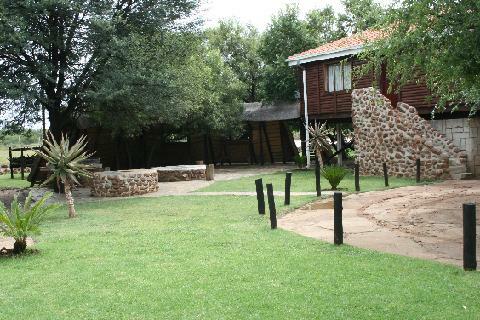 A large boma area for braai and bonfire facilities is available and the unit boasts a private pool. 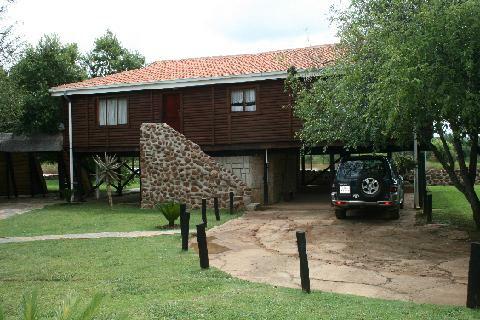 The lapa is the ideal entertainment area with its own bar, bathroom, dining area and sitting area. Television with limited channels is available in the lapa. Then there is the six smaller fully equipped self-catering wooden chalets available (sleeps 2 or 4). ideal for a couple or family breakaway. 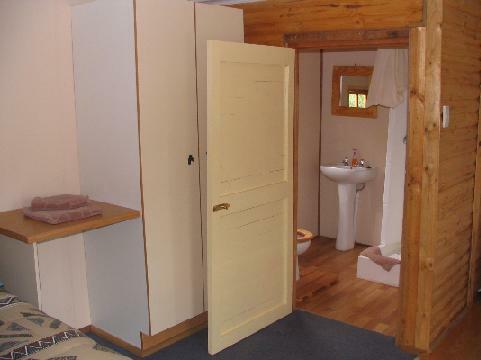 Each Chalet is self catering with its own bathroom. The two sleepers consist of one double bed and the four sleeper a double bed and two single beds. 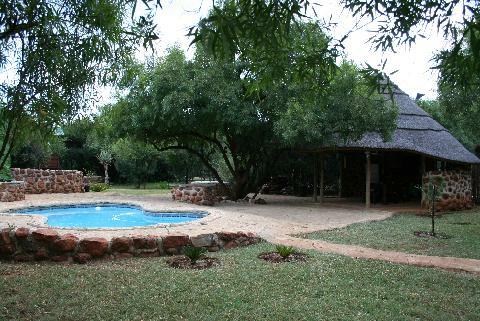 You also have your own private braai area or you can braai at the communal braai area at the lapa and pool. 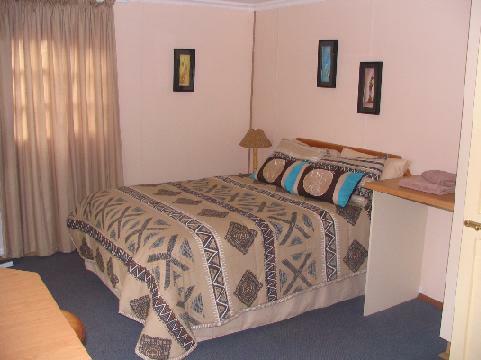 All chalets are equipped with power sockets and backup lights for power failures. The rooms are a non smoking area please. Please leave the Camp in the same condition as you would like to receive it. Only a quota of wood is supplied, the balance required can be purchased. Night drives also available if weather permits. Game drive times will vary according to weather and seasons. Smokers please be careful with you cigarete butts. Veldt fires can have devastating results. Please no bedding on vehicles or outside. Close windows and doors when leaving the camp, monkeys roam the area. Please empty smaller bins into larger bins outside for cleaning. Stoves in smaller units operate on gas. The gas bottle is situated underneath the house in the event that it may be closed. Please be aware of soil on your shoes when entering the house during the rainy season. You are not permitted to give alcohol to workers. Payments cash or cheque. For pre-payments into the account we just need proof of payment. 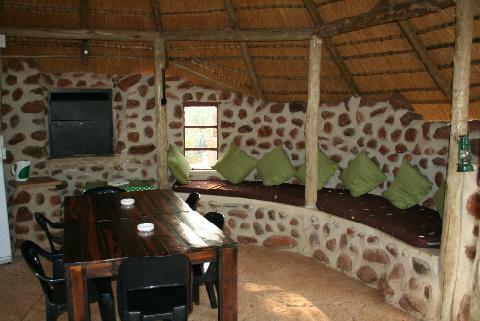 The venue is fully equiped with table, chairs, ice machine, fire wood for the boma and kitchen facilities. Table settings are available on request at additional cost.